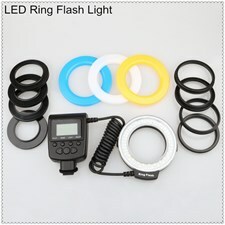 "S2" mode --- it is designed for digital TTL flash. 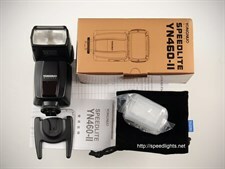 This mode is similar with S1 mode, but it can neglect the pre-flash given by TTL flash. 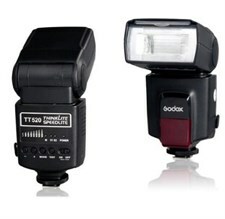 Therefore, it can support the main flash working in TTL mode. 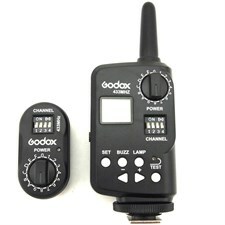 Large LCD panel, you can look into and set the functions on the LCD panel clearly and directly. 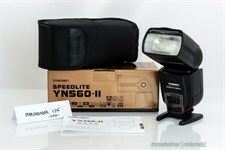 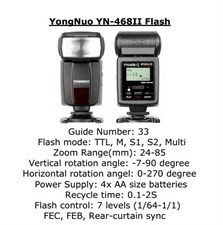 YN560-II is the first manual speedlite supports Multi flash in china. 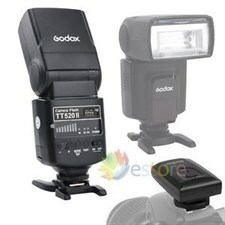 By pushing the zoom button on the speedlite, it can make the flash covered focal length range from 24 to 105mm. 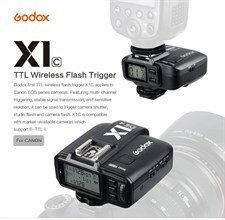 The high sensitivity wireless triggering sensor inherits from YN560, which makes the S1 and S2 mode can be used in outdoor environment and the wireless triggering distance is as long as 15m, as well as 25m indoors. 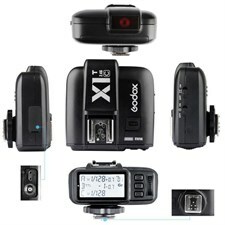 (Note: the sound can be closed). 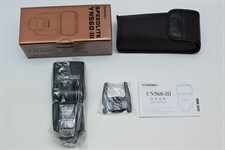 YN560-II provides charging socket for external power pack, to meet your higher demand for charging recycle.